I still remember the sense of wonder I felt when, as a little boy, I used to turn over boulders in the rockery. My Dad — a keen gardener — was far less keen on my impromptu re-arrangement of his hard-landscaping, but I was more interested in the fascinating world unearthed beneath the hastily relocated rock. Beetles, millipedes, woodlice, earwigs, spiders, and if I hit the jackpot an ants nest, provided countless hours of entertainment to an inquisitive and open-minded youngster. When I wasn’t overturning rocks I was on my hands and knees in the grass, or scouring the hedges for what were known at the time as creepy crawlies, but have since been labelled with the less sinister and socially acceptable moniker “minibeasts”. Minibeasts rocked my world. At one stage or another I had an ant-farm, a wormery and a pet spider in the house. The fact that they freaked my sister out was only a small part of the appeal, honest. Mostly I was just fascinated by watching and learning. Seeing up close how an earthworm moves through the soil using peristaltic (yes, it is a real word — one I learnt much later) waves of muscle contraction was, and still is utterly astonishing. The house spider was wonderful too — watching it build its sheet web in an old shoebox, complete with funnel-like refuge in one corner. My favourites though were the ants… because they were always so busy, and the interaction between them introduced all sorts of variation and drama. I didn’t watch much telly. Not everyone shares my love of minibeasts. I chaired a pub quiz to raise money for the local playschool some years back, and asked the question “how many legs do woodlice have?”. Amazingly nobody got it right (it’s seven pairs, or fourteen legs — just in case you’re ever asked). When I mention spiders in casual conversation the most common reaction isn’t the “cool!” you might expect, but generally more of an “Ewww!” or “yuck!” or, in some cases, abject terror. It’s a shame, because almost all of the minibeasts in Ireland are completely harmless, and even the ones that can bite or sting can’t do any permanent damage (unless you’re allergic to them), and are only ever aggressive in self defence. There are exceptions to the rule, of course — few people have an adverse reaction to butterflies, for example, and ladybirds get the thumbs up from most. 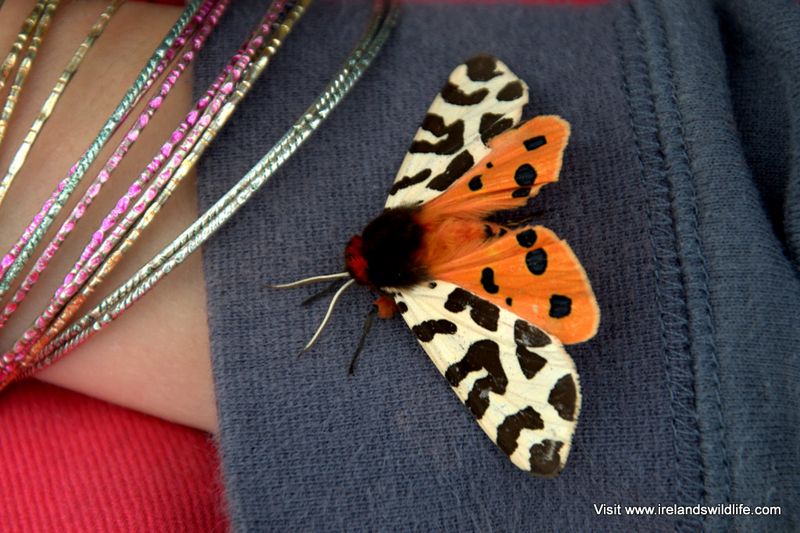 Mention moths on the other hand and people are less enthusiastic, which is strange, because while we have just 34 species of butterfly in Ireland, we have more than 1,350 species of moths, a selection of which are as intricate, colourful and beautiful as any butterfly (look up the garden tiger moth and you’ll see what I mean). Earwigs are another minibeast that get an undeserved bad press. Quite why people don’t like them is beyond me. Curious-looking they may be… but they never, repeat never, crawl into people’s ears, and female earwigs are among the most exemplary mothers in the insect world. 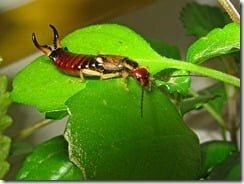 Earwigs guard their eggs diligently and even stick around to look after their babies until they’re ready to fend for themselves… which for an insect is pretty impressive. Picking a favourite from the plethora of minibeasts out there really isn’t easy… but I think if I was pushed I’d have to pick dragonflies. They’re amazing aeronauts and the aerial dog-fights of the adult males as they contest territories in summer make Tom Cruise in Top Gun look like a rank amateur. They’re also potential prey for passing hobbies — which in my book has to be a vote in their favour! Dragonflies have an extraordinary life cycle — spending up to four years underwater as a dragonfly nymph before emerging as the spectacular adult insect, which in stark contrast survives only a few months before the cycle starts all over again. Practically everybody loves birds, cute furry mammals have instant “ahhh” appeal, and whales and dolphins make people weak at the knees… but minibeasts deserve a bit of a break. They’re everywhere, and they do so much to keep the ecosystem we all rely on functioning properly. Without them there wouldn’t be any birds or mammals. You may have to look a bit harder to see the appeal, but many of our minibeasts truly are fascinating, and well worth a closer look. just did a bug hunt last weekend and agree with all you say… nice piece!